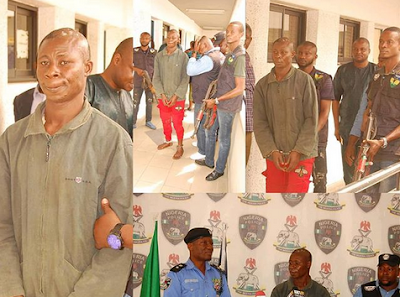 The Force Headquarters, Thursday, paraded a notorious armed robbery and kidnap kingpin, who participated in the New Year killing of worshippers at Omoku, Rivers State. The suspect, Desmond Okotubo, a 32-year old father of three, who hails from Egbenma in Unelga Local Government Area of Rivers State, told newsmen that the arrest and humiliation of the mother of their leader, Don Waney coupled with the destruction of Waney’s mansions in the state informed the New Year attack in Omoku. But Desmond Okotubo, who disclosed that their plan to invade Omoku was hatched in Owerri, Imo State, said Omoku vigilante group members were their original targets and not church worshippers. He further disclosed that their decision to vent their anger on the worshippers came when they could not track down the vigilante group members, who he said we’re instrumental to the arrest of Don Waney’s mother and tracing of his mansions for destruction by government.